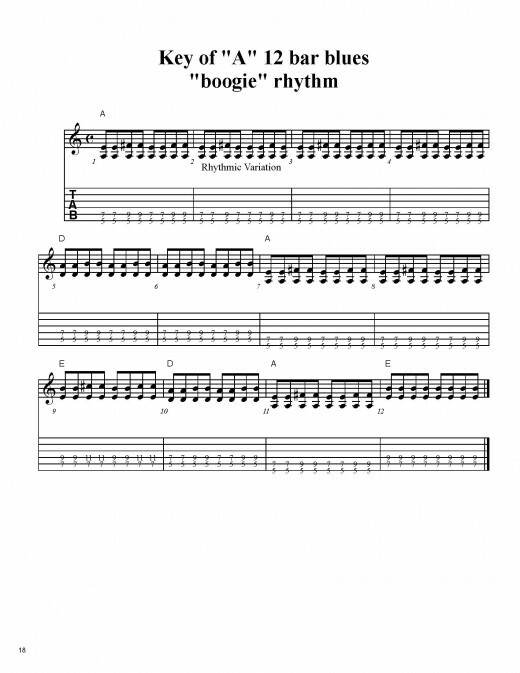 Whether it's the background rhythm to Johhny B Goode by Chuck Berry (in fact most of his songs) or Brown Sugar by the Rolling Stones this little pinky stretching blues rhythm pattern and variations were a staple of rock for a good 30 years. Here is a random sampling in no particular order, of artists and their songs that use variations of this classic pattern. 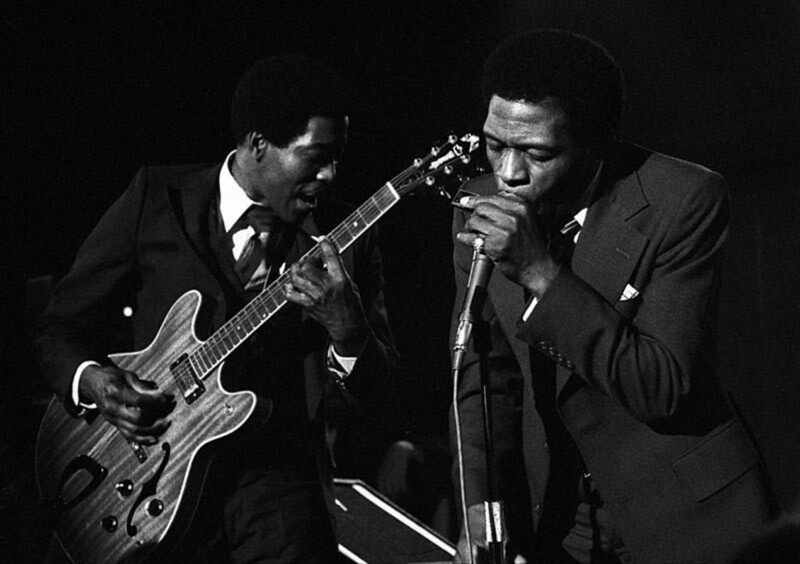 The following video lesson shows how to play a 12-bar blues in A using this classic rhythm pattern.Follow video link for online lesson. 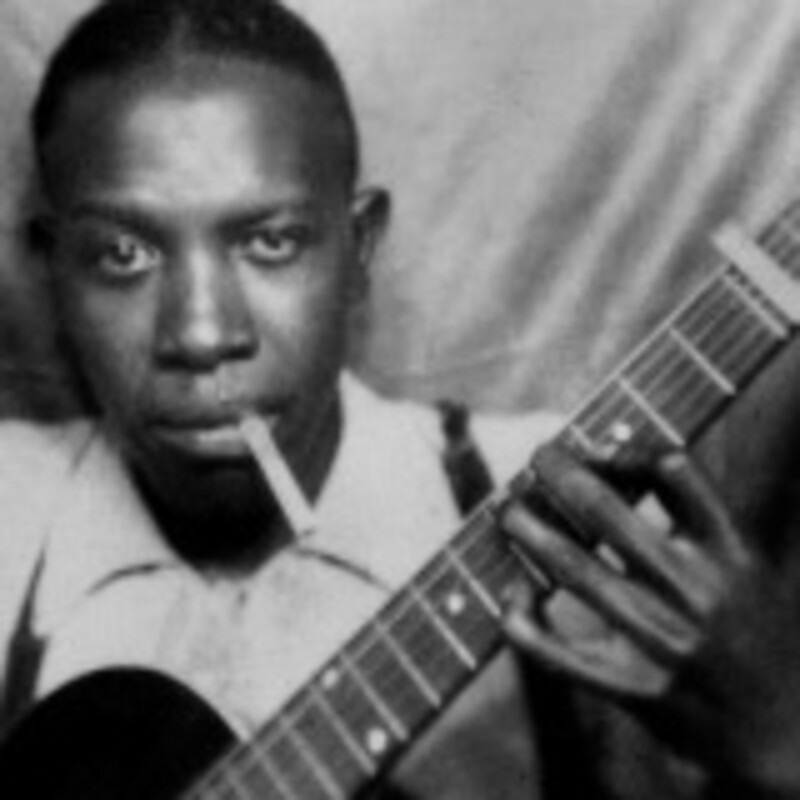 Most typical blues progressions use three chords and is a repeating 12 measure pattern. A measure is 4 counts and is also know as a bar. So you could say that a typical blues is a repeating 12 bar cycle. This repeating 12-bar cycle goes by the common name of 12 bar blues. You've got to admit that sounds cooler than the 12 measure blues! For those of you that know a little theory, this classic blues rhythm pattern is a 5th interval (aka power chord) alternating with a Major 6th interval reached by the pinky. This 5th to 6th sound is the staple for this rhythm's "melody." 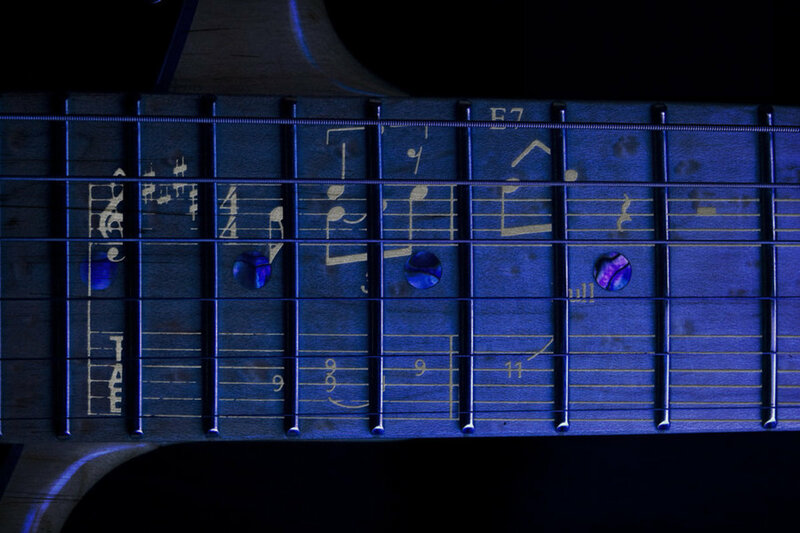 Not shown in these examples is another variation where one reaches the pinky (ouch) one more fret to get the dominant 7th sound. So the rhythm's melody becomes 5th, 6th, 7th, 6th, usually two picks per interval. It is usually better to lay the palm of your strumming hand on top of the strings near the bridge so as to create a tighter sounding rhythm. Although aimed at guitarists, all musicians should learn how to solo or improvise using a single note. Otherwise why go on? 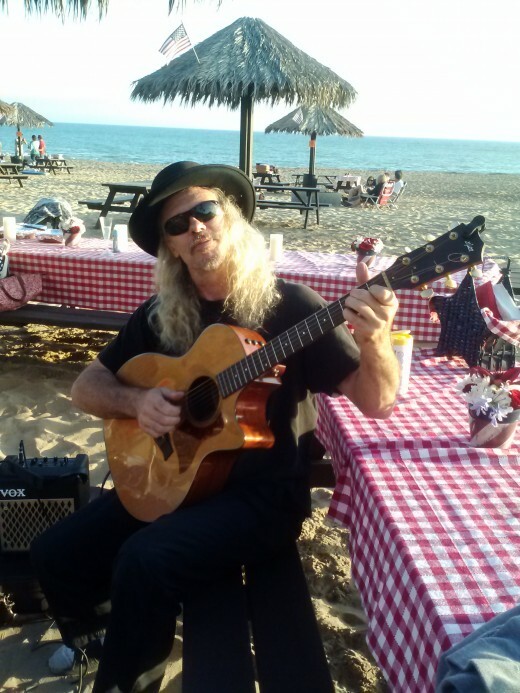 The minor pentatonic scale on the guitar, and particularily the E minor pentatonic scale is a blues and rock guitar staple. There have been so many guitar driven songs in this key that one could easily make a case for E being the starting place. Slow Shuffle Blues using classic boogie blues rhythm pattern in a one minute lesson. Most guitarists when they get to the point of knowing a few licks and scales find themselves rambling when they improvise. 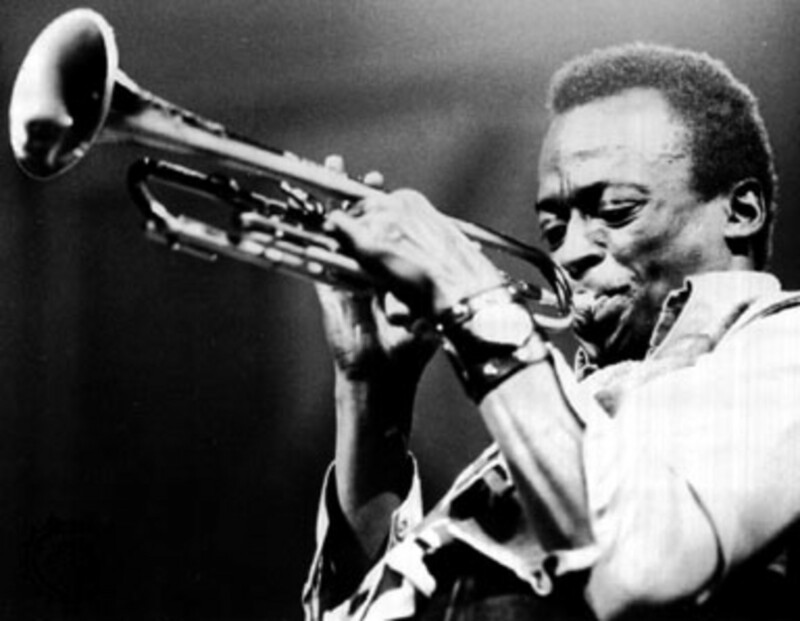 This article demonstrates how to create cohesive articulate solos. 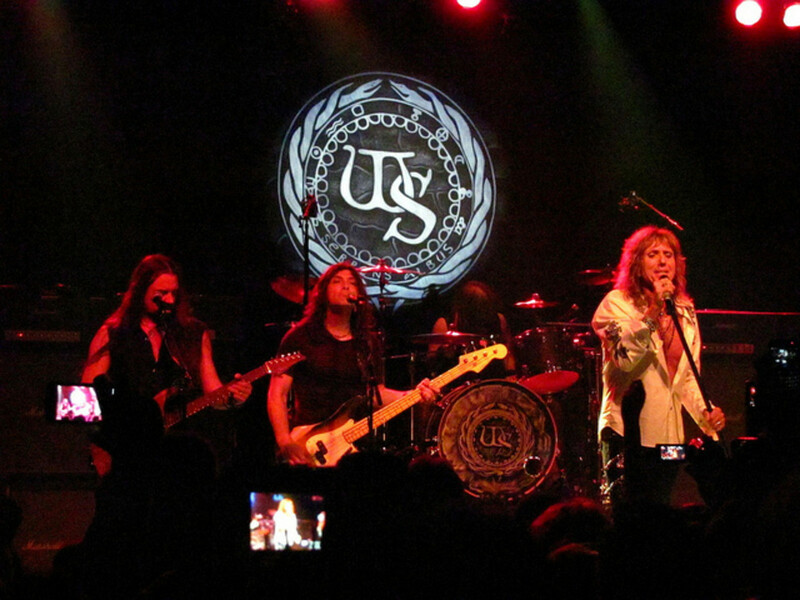 Top 10 Worst Song Titles by Whitesnake.